Ellie May Outfitters is a family owned operation. We use no leased lands. It’s all privately owned and managed by Ellie May Outfitters. We have two separate farms. We have a 1,500 acre farm and a 200 acre special management area. As owners and managers, we based this operation on the mere passion for hunting and fishing. We have hunted all over the western United States and many times for lesser quality whitetail than on our own farm. We own an Asphalt Production and Surfacing business, so we are able to have Ellie May Outfitters as a hobby business. We are trying to re-coop just some of the expenses from food plots and property taxes. We enjoy hunting and just taking you hunting. During your hunt you will have the option of hunting from one of our comfortable enclosed and heated blinds, one of the many stationary stands or portable ladder stands. We also have seven stocked ponds available for your enjoyment, with tackle provided. We are now specializing in youth, elderly and handicap hunts. Introduce your child and bring your family along! Shopping and babysitting services available. A family that hunts together stays together! Our 30 year experience in hunting and fly-fishing the United States has developed into a vast knowledge of not only whitetail and turkey hunting on our own farm, but, as an experienced reference for other western hunts and fly-fishing experiences. For information on guided fly-fishing and visiting Elk Springs Resort, our property located in the mountains of West Virginia, please visit our website at elkspringswv.com. 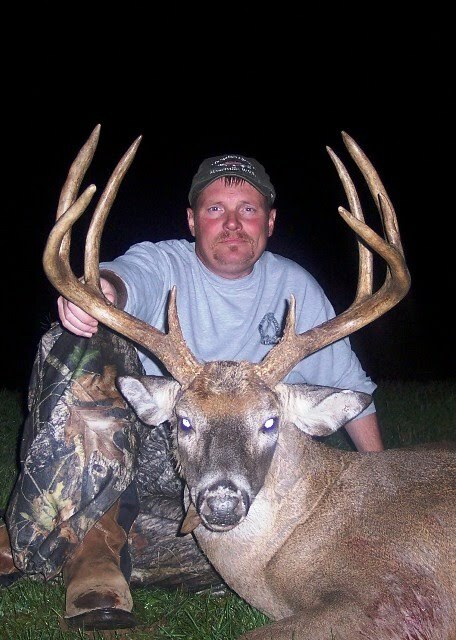 Go to Family Hunt Pictures to view a few of our western trophies. Ellie May Outfitters wants you to have a hunting experience that you will want to come back for more. Give us a call or email.